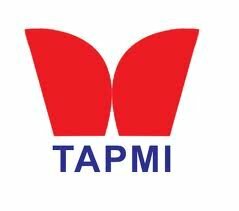 TAPMI 2017 Registration Online Application Form: T.A. Pai Management Institute (TAPMI) invites eligible candidates to apply for the admission of Post Graduate Diploma in Management (PGDM) such as Banking and Financial Services (BKFS) and Healthcare (HCM). All candidates (except PIO & Foreign National) have to submit the TAPMI Online Application Form before the last date. An applicant can apply to multiple programs in single application form. The Prospectus of Admissions 2017 is available at the Admissions Office, TAPMI Manipal or can be downloaded from the TAPMI web portal. T.A. Pai Management Institute (TAPMI) offers two year full time PGDM program and similar programs in Healthcare Management and Banking and Financial Services. TAPMI accepts high scores in CAT 2016 \ XAT 2017 \ GMAT 2015 & 2016. You can get all necessary information about TAPMI Registration 2017 in this web page itself. Admission for Indian Nationals: A graduate degree (10+2+3 or 10+2+4) in any discipline with minimum 50% aggregate marks. Students in their final year of graduation are also eligible for TAMBI admission 2017. You should have graduated from a University abroad within the last three years. At least one of your parents should be an NRI at the time of this application form. You should be sponsored by a blood relative who is an NRI. WAT \ PI Centers for Admissions 2017: Ahmedabad, Bangalore, Chennai, Cochin, Hyderabad, Jaipur, Kolkata, Manipal, Mumbai and New Delhi. NOTE: Payments to be made by debit card \ credit card \ Net Banking. PIO \ FN applicants need to contact the admissions office for application form. Selection Process: CAT \ XAT \ GMAT Scores are used only for short listing of candidates for WAT \ PI. IIMs, GMAC or XLRI have no role in the selection process. The final selection is based on the performance in the TAPMI Admissions Process 2017. Applicants are able to apply for TAPMI admission 2017 through online mode only. The direct link is available below. Use the link to open the official web page. Now you have to enter all mandatory details carefully without any mistake. You have to upload the scanned images of photograph and signature in prescribed format. Then do the payment of the application fee by debit card \ credit card \ Net Banking. You need not to send any hard copy of the application form to the Admission Office.